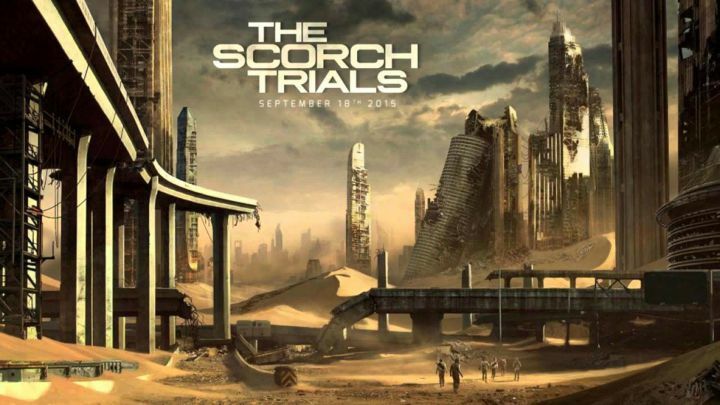 As expected, new film “Maze Runner: The Scorch Trials” topped the box office this weekend, opening with $30.3 million. The film’s already made $30.5 million overseas, giving it a global total of $60.8 million to date (its budget was $61 million). Dropping down from #1 to #4 is “The Perfect Guy,” which pulled in $9.6 million (-62.8% from last weekend). The film’s so far earned $41.4 million. In fifth place is “War Room,” which earned another $6.3 million (-19.6%). The film’s total gross now stands at $49.1 million. In seventh place is “Mission: Impossible—Rogue Nation,” earning another $2.3 million (-45.1%). Its totals now stand at $191.7 million domestic and $656.4 million globally. In eighth place is “Straight Outta Compton,” earning $2 million (-49.8%). Its totals stand at $158.9 million domestic and $183.9 million worldwide. Dropping out of the top 10 is the Spanish language animated film “Un Gallo con Muchos Huevos” (“A Rooster with Many Eggs”) and action film sequel “The Transporter Refueled.” The former’s earned $8.2 million to date, while the latter’s earned $15.3 million domestic and $47.3 million worldwide. Elsewhere, “Inside Out” has crossed $750 million globally, while “Ant-Man” is still up and at ’em, having topped $400 million. The two films are due to open next month in China, which’ll boost their grosses even more. Opening next weekend are three films: horror film “The Green Inferno,” comedy “The Intern,” and the Adam Sandler starring animated sequel “Hotel Transylvania 2.” Yes, October’s almost here, and with it the usual horror-themed films.